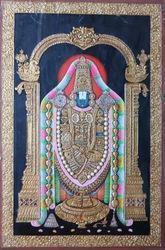 Medium - Gold Leafing & Swaroski Crystals. 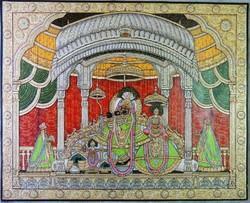 Painted and decorated by artist Shankar Lal Soni. 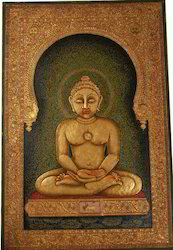 Very fine detailing with proportionate embossing . 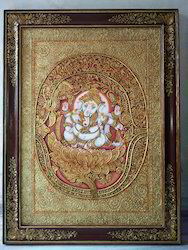 Totally embossed in borders and ornamantal part . 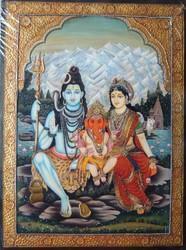 Shiva Family painting by artist Shankal lal soni. 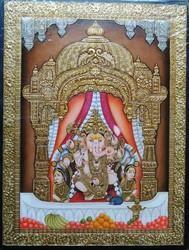 Here it is a fusion of miniature water colour work and intricate gold leafing work. 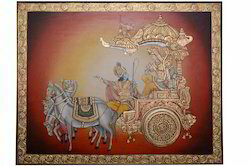 Customization of god paintings is possible. 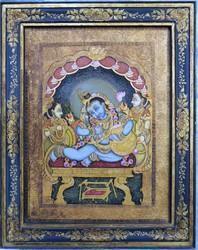 Bal krishna painting is an old painting collection by Artist Shankar Lal Soni. 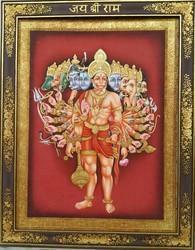 By Artist Gopal kumawat . 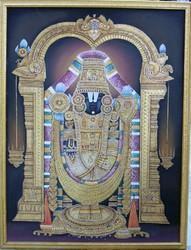 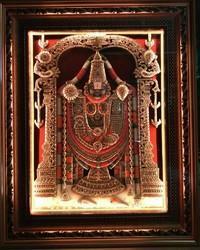 Looking for Tanjore Painting ?